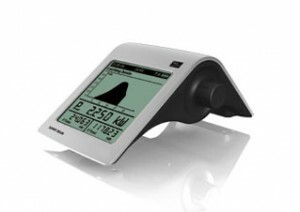 For greater ability to log and view performance SMA have a wireless device called the Sunnybeam. This is one of the most convenient methods of data capture and display, and has drivers for PC interconnection via USB for windows 2000 and XP. SMA also have other Monitoring Systems available depending on your requirements. Aurora inverters also have a wired or wireless desktop data-logging display device with a 3.5 inch colour tft touch screen – more info. 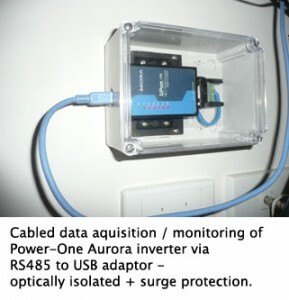 Power-One inverters come with onboard RS485 communication and a neat viewing program (Windows based) which can be cable connected to your PC via an RS485 to USB adaptor (sold seperately – pictured to right). Note – All items above are subject to availability.